Spoiler Alert… This is not going to be what you think… it is, instead, to get you to think. It is often said, “All Politics is Local.” There is some truth, I suppose, to that statement. If you could corner a committed supporter of any candidate and drill down to the “Why?” it would likely boil down to one issue or topic that that person feels strongly about and with which their preferred candidate aligns. I would contend that it would have to be a “gestalt” experience and several things would need to happen. Later, if asked why you support that candidate, you would probably distill it down to one “hot-button” issue, but in reality, it was a lot of things that swayed you to support one candidate over another. Now let’s imagine that you are a non-woodworker. No, really. You know nothing about woodworking. And you wander into a woodworking store, a club gathering, a show, or other woodworking event. What would make you turn into a hobbyist woodworker? What would sway you from undecided to committed? 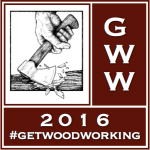 If we want to get more people involved in woodworking, it really does start with you. Are you a friendly emissary? Do you reach out and welcome new woodworkers? Do you smile and say nice things to people you run into in woodworking stores, shows, or other events? Do you go out of your way to tell people what a wonderful hobby and pastime woodworking is? Are you helpful? Do you actively look for ways to share your knowledge and experience? Do you invite non-woodworkers to your shop? Do you offer to help them build something? Think about it. Clubs are great. Woodworking clubs are great places to share, learn, make new friends, and just generally feel like a part of something bigger. But clubs can turn bad. Clubs can become exclusionary. Clubs can be, well, too “clubby.” Clubs can be secretive, elitist, and unwelcoming to new members. I could give you countless examples of “clubs gone bad,” but instead let’s delve into the concept of “club” in a more general way. And just to make sure that I step on less than all ten toes, let’s take it temporarily out of the realm of woodworking. A golf club (aka “country club”) is a prime example of the fine line that clubs must traverse. Clubs need new members in order to be vibrant. But clubs must also be “private” (read “exclusionary”) or there would be no reason to join. Of course a golf club offers some things a public course does not… lockers, club storage, preferred tee times, a manicured course, and clean showers along with other accouterment, but let’s be real… for many members, membership means never having to play on a “public” course with the great unwashed masses of “other” golfers. It is this “exclusionary” aspect that makes many of them cough up the annual dues and pay the monthly fees. So how does a private golf club walk the fine line balance of exclusion and welcoming openness? Well, they try all kinds of things. They have events to which the public is invited. They encourage “guest” play. Perhaps there is a restaurant at the club that is also open to the public and provides entre to the atmosphere. But in the end, it really comes down to something the club itself cannot do… it comes down to the individual members. On the ninth hole I feigned an engrossing email on my phone; on the green I told my cart mate, “You guys go ahead and tee off on number ten… I’ve got an issue I need to deal with and don’t want to hold you up.” I grabbed my clubs and headed to the bar. We chatted a bit, he asked me if I had played the course yet, and I told him just the front nine. He grabbed his hat and said, “Come on, you’re gonna love the back nine.” He was friendly, helpful, and genuinely interested that I “like” the club. Now, some years later, I am still a member. I stay away from the stuck-up guys that prefer “exclusive” to “welcoming.” The friendly and welcoming fellow is still my friend. Were it not for him, I would have asked for a refund on my initiation fee and joined another club. In today’s electronic world a chat room or message board is much like a club. Usually only members can “post” (membership benefits) but anyone can “read” (guest privileges). Pretend for a moment that you know nothing about woodworking but you think it might be an interesting, fun hobby. So you “wander in” to visit a few woodworking chat boards. When you type a post and say you always “make T’s for M&T’s on the TS” we all know what you mean… but a newbie has no idea what a mortise and tenon joint is, let alone our shorthand M&T. On the off chance an interested potential new woodworker should land on a message board and read one of your posts, are you being “exclusive” or “welcoming?” Our shorthand might as well be code words reserved strictly for the initiated and experienced. My other beef with the electronic clubs (aka message boards) is any requirement to register before you can to ask a question. Some even have a requirement to register before you can see pictures that have been posted. What’s next? A super-duper secret handshake before a visitor can participate? I’ve written about this before, but the problem still persists. I have been fortunate of late to be helping a young man who is building his first woodworking shop. He has told me stories of asking questions in stores and being made to feel like, his words, not mine, “An outsider,” “Unwelcome,” and “Idiot.” I only wish he could visit Highland Woodworking… he certainly would feel like “family” there. Why do some clerks and shopkeepers feel it necessary to treat non-woodworkers or “newbies” like second-class citizens? Do they need to feel some intellectual superiority? Do they actually have contempt for people less knowledgeable than them? Or do they simply want only to cater to other members of the club? Shopkeepers and clerks, if you want to be surly, go get a job at the Department of Motor Vehicles. When it comes right down to it, initiatives like “Get Woodworking Week” are useful exercises, but getting new people interested in the hobby of woodworking really is a local proposition… whether it is chatting up your pastime with someone at the local pub, being helpful to someone in a store, taking a moment to spell out words in a clear and easy-to-understand way in chat rooms or on message boards, or simply being a constant and vocal champion, it really comes down to individual interactions. Think about it.